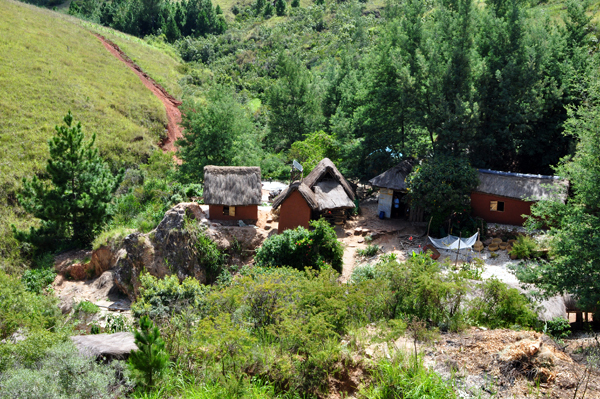 It was the the first trip to Madagascar in the new year 2009. We (my friend Grzes and I) left wintery, snowy and cold Poland in January, and soon we felt the heat-stroke when we have landed in Antananarivo. 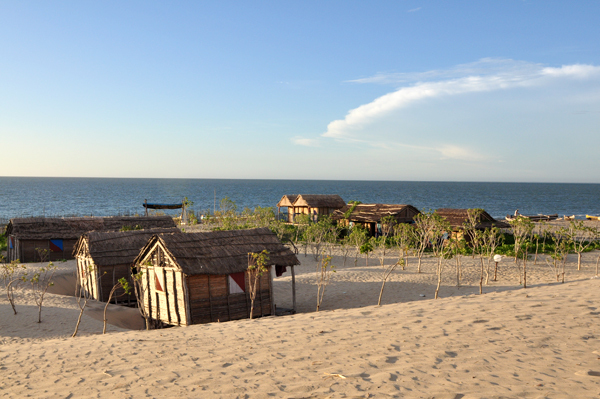 It was the Grzes`s first time to Madagascar. 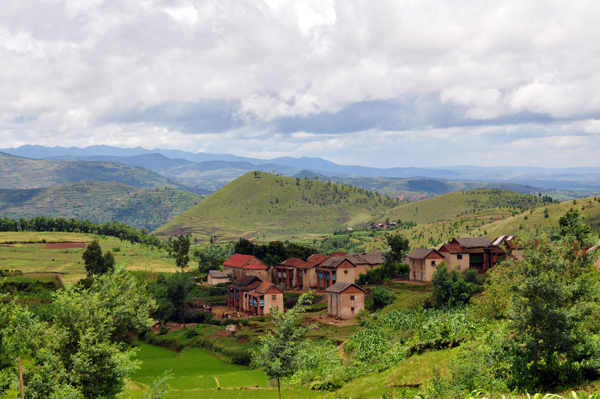 First we went to my favourite city, which is of course - Antsirabe - the capital of mineral dealing. From there we made a few trips to the Sahatany Valley, we visited some incredible pegmatites. We went down in the Ampatsikahitra pegmatite (LCT - type) that is famous for beautiful rubelites with very intensive color. It was really exciting - we saw over one meter long frozen kunzites, well formed morganites in situ and much more. 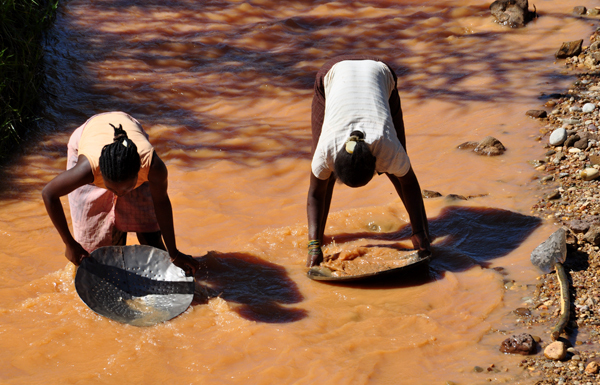 Of course we have done also all the neighbouring minerals markets such as Ibity and Mahaiza. 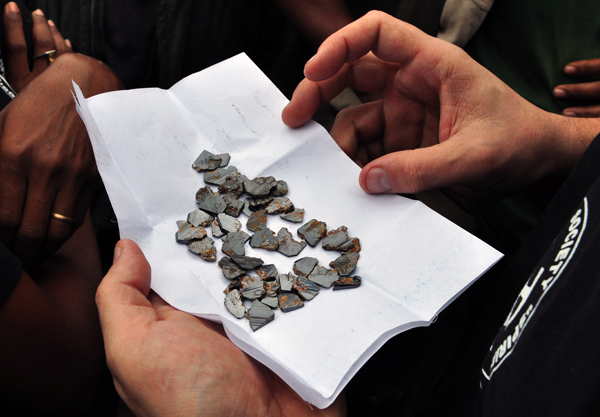 This time we purchased a lot of good quality polichrome turmalines, very interesting partly transparent brookites from the new find in Fitampito and new apatites found in Ikalamavony in 2009. 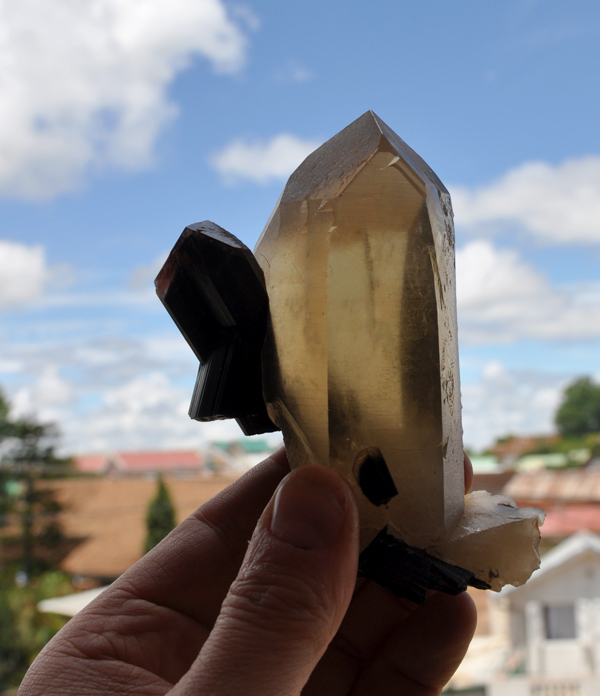 We also bought some gigant citrins with lepidolite and schorle that I have never seen on Madagascar before. After that we started a crash course of the southern part of the island- we visited the Ranomafana and Isalo National Parks, Anja private Park with countless ring-tailed lemurs, the Ilakaka town where every resident deals with saphires and finally we reached Sarondrano- sandy little fishermans` village nera Tulear where we had a short rest. In the meantime we got to know that the political situation that was already hot is getting worse and worse - people in the big cities started to burn, steal and devastate the shops, magazines and factories owned by the president as a protest to his politics, because of that we had to get to Antsirabe as fast as possible, it was not easy to buy the petrol but finally we reached our destination. 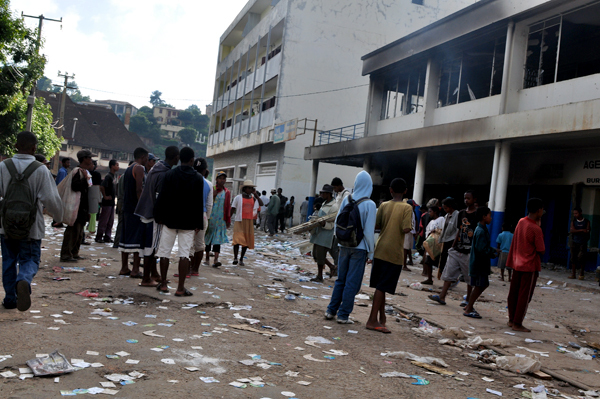 On the way we saw dozens of burning buildings and crowds on the streets taking from the ruined shops everything they could carry. Interestingly the mood of the public and the atmosphere were great, and none of other shops owned by private people was destroyed. After another days of meetings with mineral dealers that never end in Antsirabe, we had to go to the capital to pick up my girlfriend Asia from the airport. Unfortunately we ended up waiting for her two days because of the problems with her plane taht turned out to be broken twice during the flight. 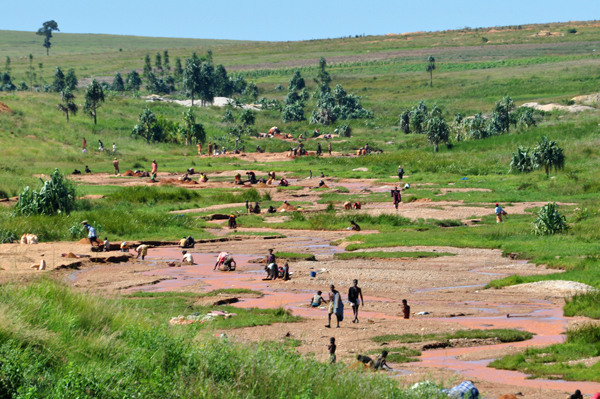 Finally we were all three in Antananarivo and we decided to make a real holidays. 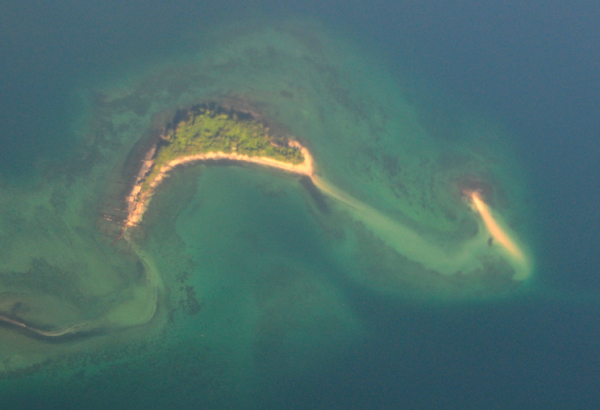 First we took the plane to St. Marie Island - that used to be the base of the pirates of the Indian Ocean. 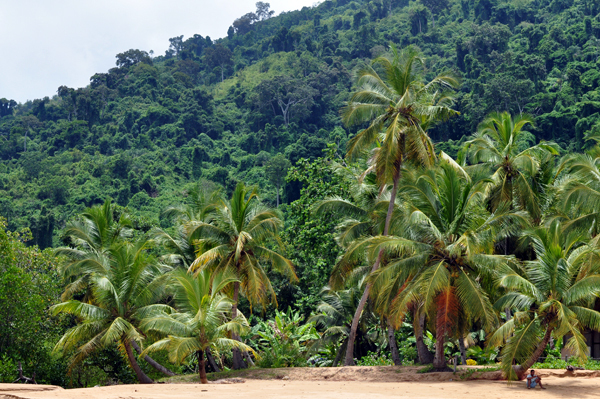 Now it is a very peaceful and beautiful Island with thousedns of coco palms everywhere. 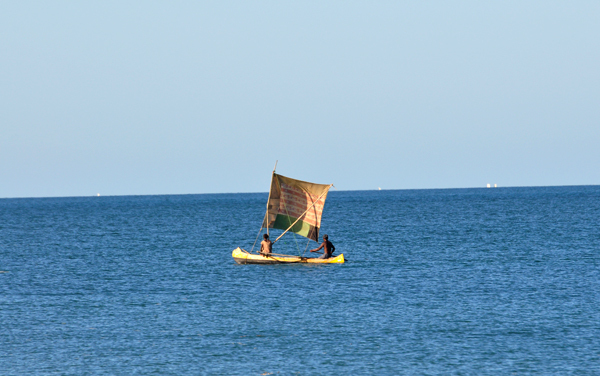 From St. Marie we moved to Nosy Be Island - the most tourist localization on Madagascar. Of course in the rainy seaseon we met there only a few tourists. Because of the cyclone on the eastern cost of it was raining a few days, but then it became sunny again. We took a bout to Nosy Komba - a little island near Nosy Be, where we lived for a few days in very nice hous ( Villa Komba ) right next to the wonderful beach. 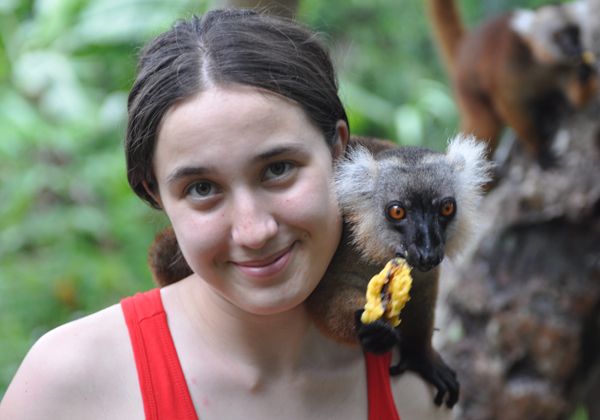 On the island we met a lot of lemurs that love bannanas and we made two trips to the Tanikely Island with the submarine National Park - one of the best coral reefs of the whole Madagascar. On the day we had the flight back to Tana, thanks to Laurent - our feirnd (and the owner of Villa Komba)we made a round trip on Nosy Be island, we relaxed on the marvellous Andilana beach. Unfortunately when we got to the airport our plane was already gone... Air Madagascar changed the timetable not informing the passengers - typical situation on Madagascar. For that reason we were forced to spend two more days on Nosy Be. Finally we landed in the capital, where we visited the corolful Andravang market. 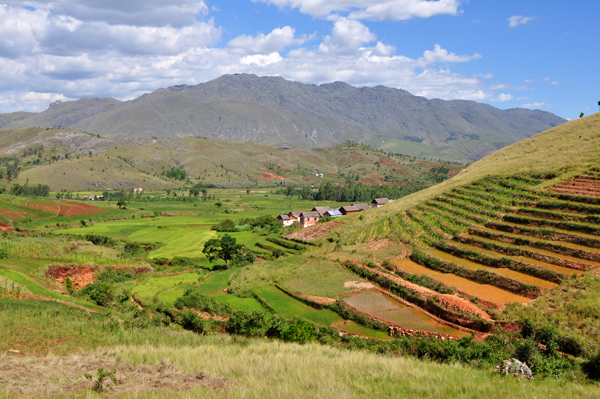 On the next day we had to say good bye to Madagascar but I am planning to go back very soon. 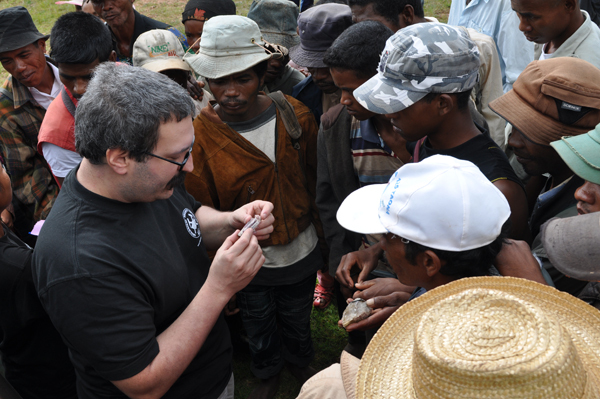 Choosing the best celestine geodes from Katsepy, in Antananarivo. Fot. J. Gajowniczek. 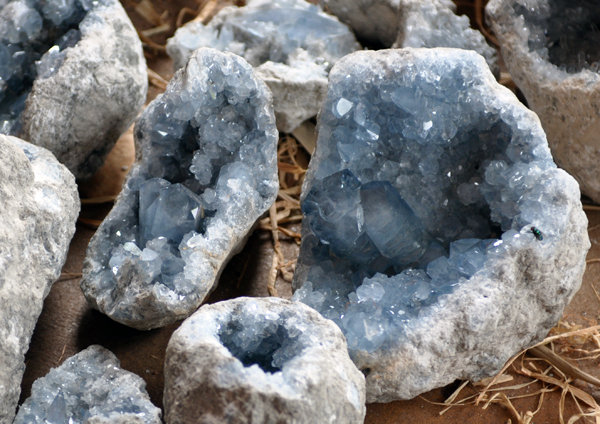 Choosing the best celestine geodes from Katsepy in Antananarivo. Fot. J. Gajowniczek. The market place in Ibity. 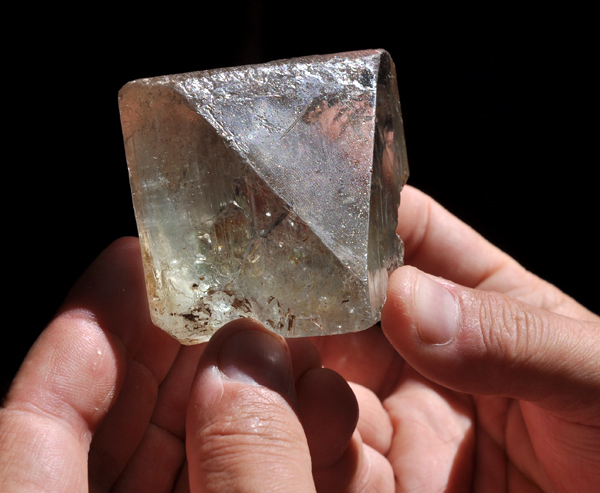 It takes place once a week, and attracts mineral dealers and miners from the quarries of the Sahatany Valley. Fot. G. Sobieszek. 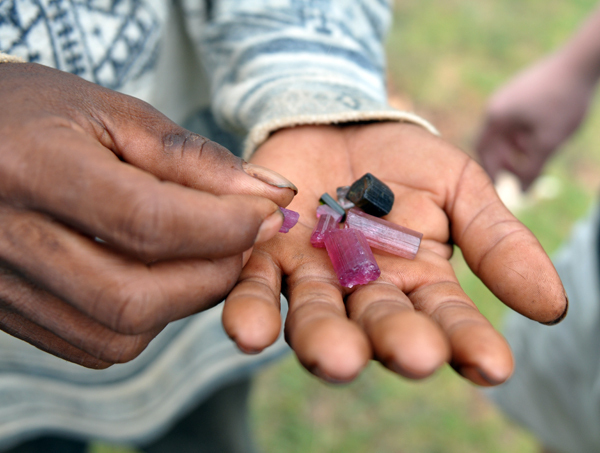 Tourmalines from the Sahatany Valley. Market in Ibity. Fot. G. Sobieszek. 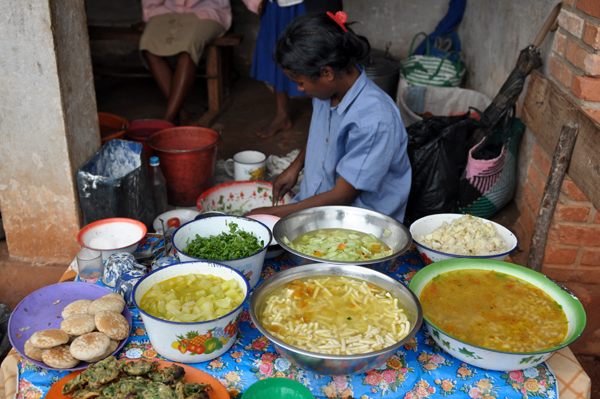 At the market you can buy almost everything, including of course hot meals and snacks. Fot. G. Sobieszek. View to the Sahatany Valley from the top of the Ankarinarivo pegmatite Fot. G. Sobieszek. 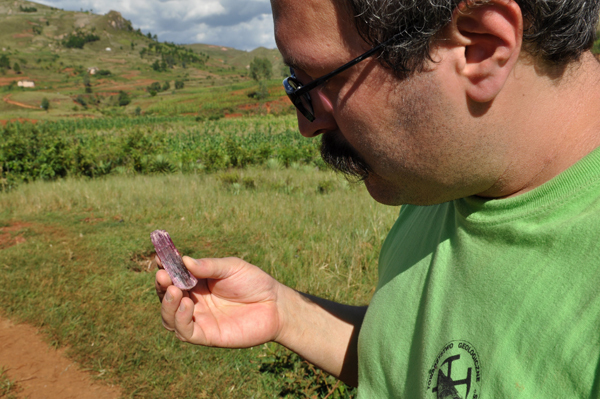 Examining the tourmalines from the Sahatany Valley in Sahatany Valley. Fot. G. Sobieszek. 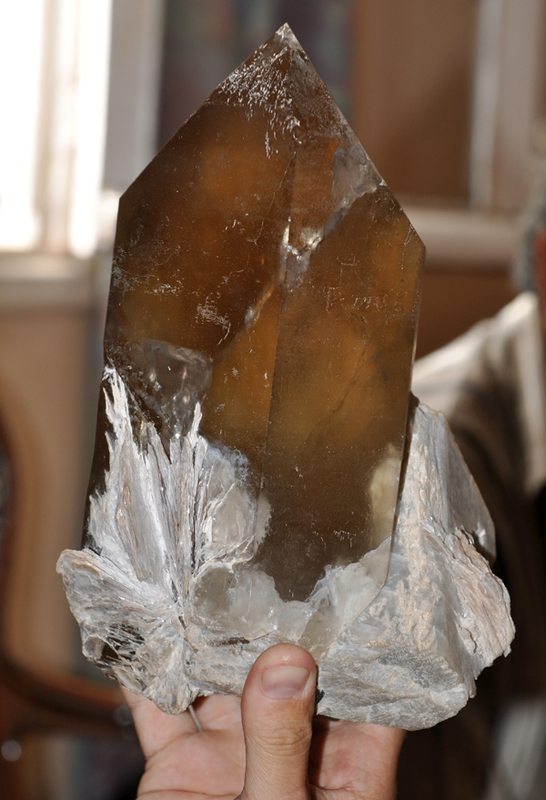 A new acquisition of the Spirifer Collection - tourmaline on quartz from the Sahatany Valley. Fot. G. Sobieszek. 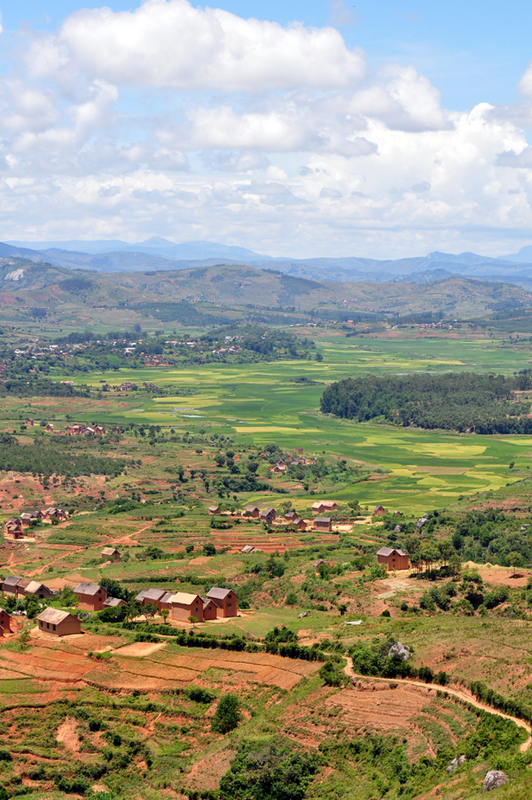 View of the valley with ricefields near Fianarantsoa. Fot. G. Sobieszek. 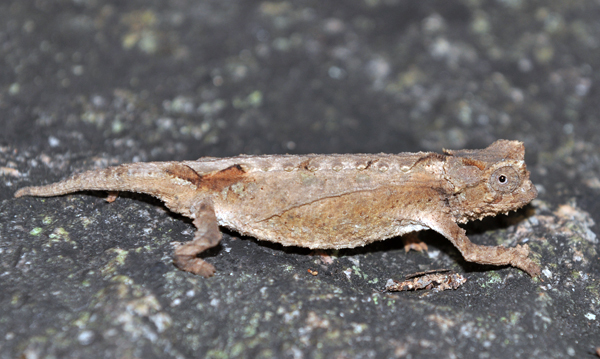 A representative of endemic to Madagascar Brookesia chameleons genus, taht includes the smallest species (lenght of less than 45 mm) . Fot. G. Sobieszek. View of the Ilakaka Village. It is constantly getting bigger and bigger as houndreds of new dwellers arrive to live here every year, with hope to enriche, looking for the saphires. Fot. G. Sobieszek. People looking for the saphires near Ilakaka. 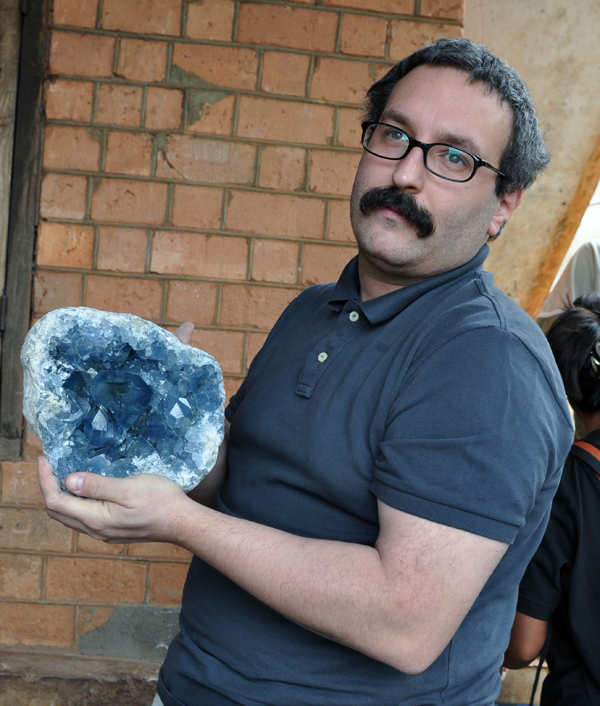 These saphire deposits are currently suppeosed to be one of the biggest in the world. Fot. G. Sobieszek. Women looking for saphires. Ilakaka. Fot. G. Sobieszek. 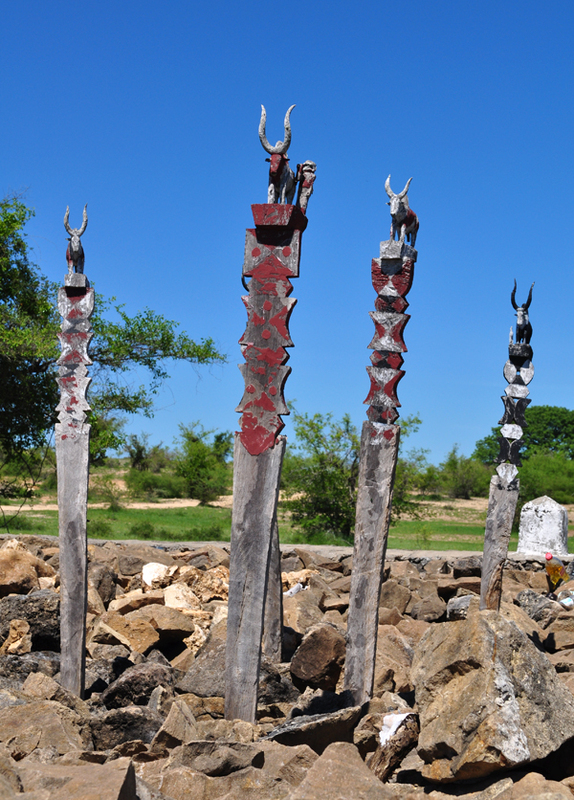 Typical graves of the Malagasy Sakalava tribe. Near the main road leading to Tulear. Fot. G. Sobieszek. 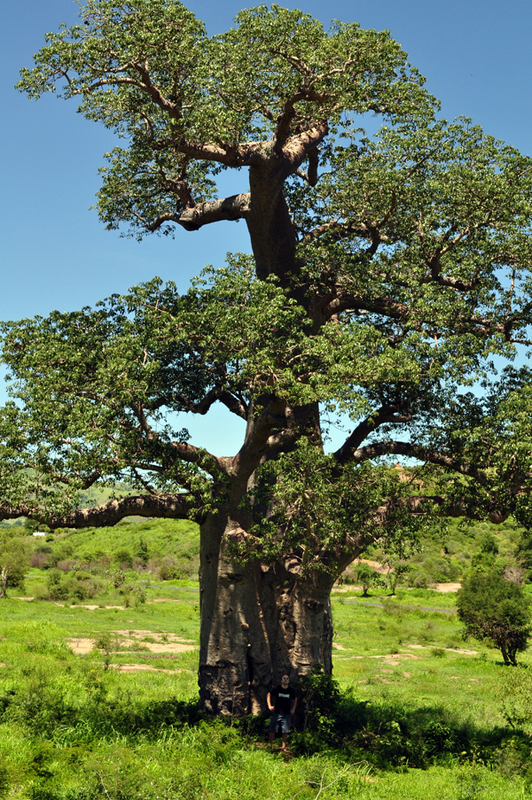 The most monumental Baobab that may be seen on the way between Sakaraha and Tulear. Fot. G. Sobieszek. 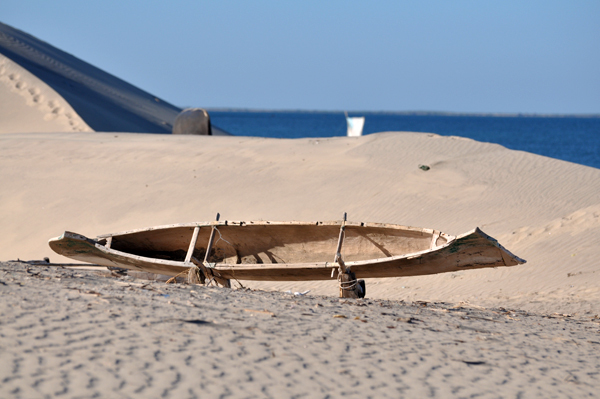 Sarondrano - a little fishermens` village that is located at the end of a sandy peninsula not far from Tulear. Fot. G. Sobieszek. Sandy dunes in Sarondrano Village. Fot. G. Sobieszek. 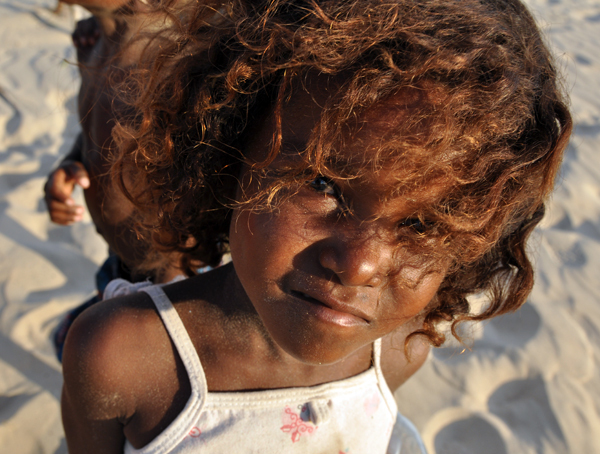 A girl from Sarondrano Village. Fot. G. Sobieszek. 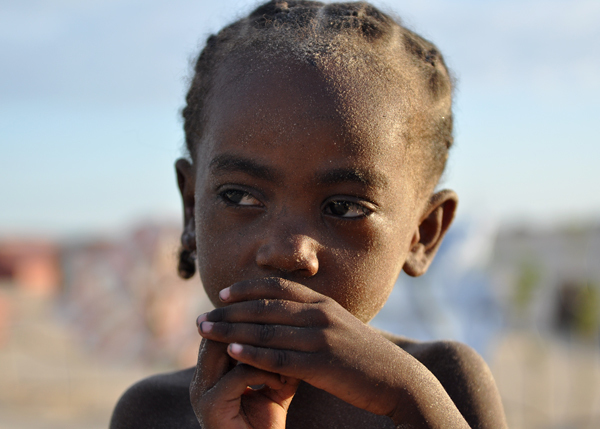 A child from Sarondrano Village. Fot. G. Sobieszek. 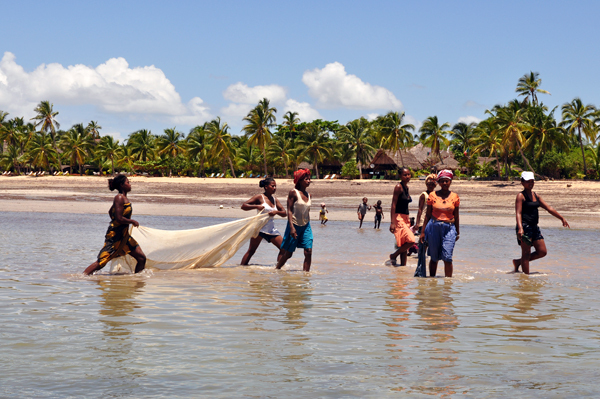 People from Sarondrano, fishing in the scorching southern sun. Fot. G. Sobieszek. Shop owned by the president, demolished by the people as a sign of protest to his politics, during anti-goverment riots, Fiana. Fot. G. Sobieszek. 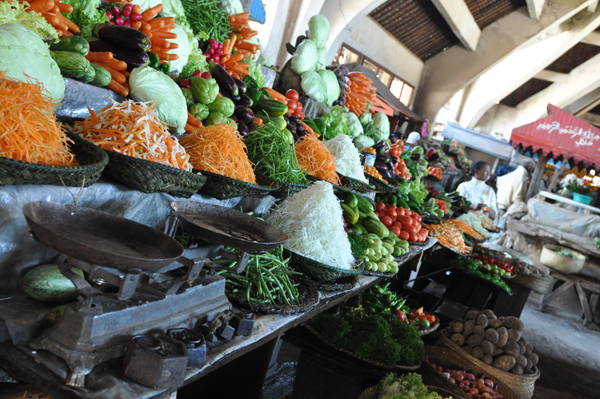 Vegetable market in Antsirabe. Fot. G. Sobieszek. 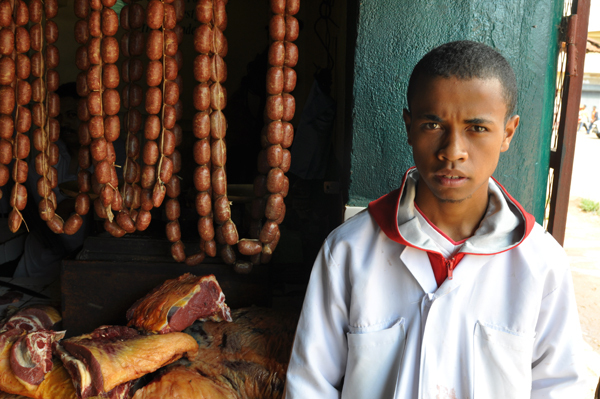 The butcher in Antsirabe Fot. G. Sobieszek. 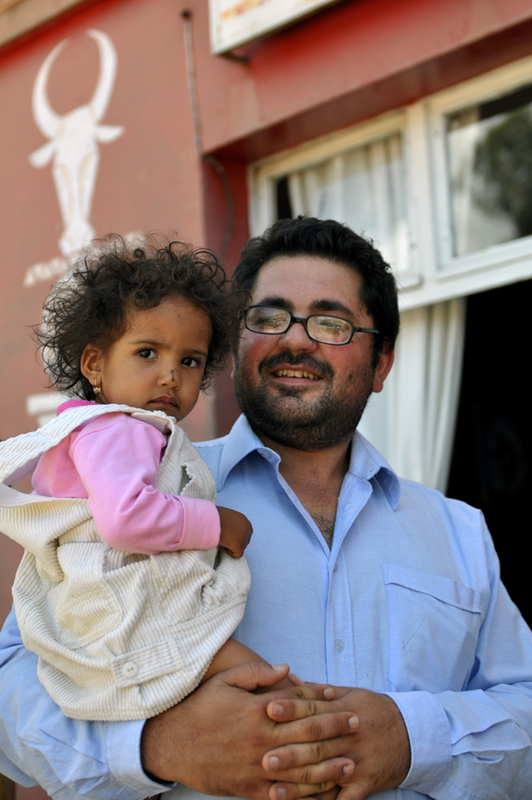 Giorgio - our friend, that runs an italian restaurant Sarabanda with delicious Italian and Malagasy food in Antsirabe, with his little daughter. Fot. G. Sobieszek. An interesting new find of big naturat citrins (var. quartz) with lepidolite from Sahatany. Fot. J. Gajowniczek. An interesting, gigant specimen of naturat citrin (var. quartz) with shorl from Sahatany. Fot. J. Gajowniczek. 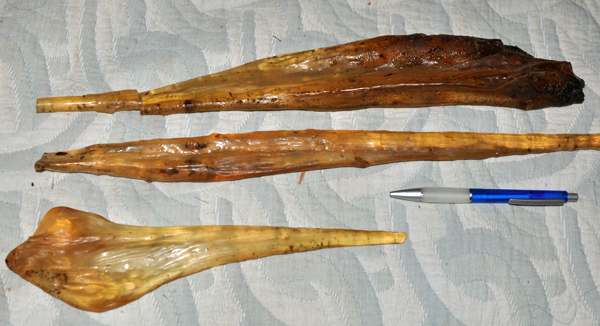 Some huge specimens of copal with insects, from Sambava area. Fot. J. Gajowniczek. 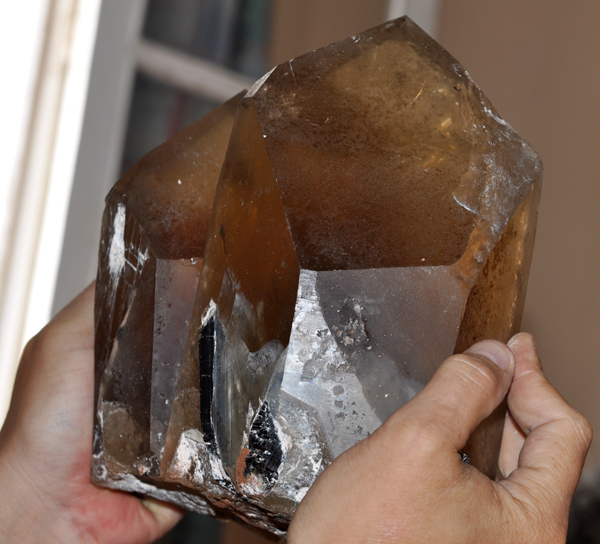 A new acquisition of the Spirifer Collection - topaz from Ankazobe area bought in Antsirabe. Fot. J. Gajowniczek. 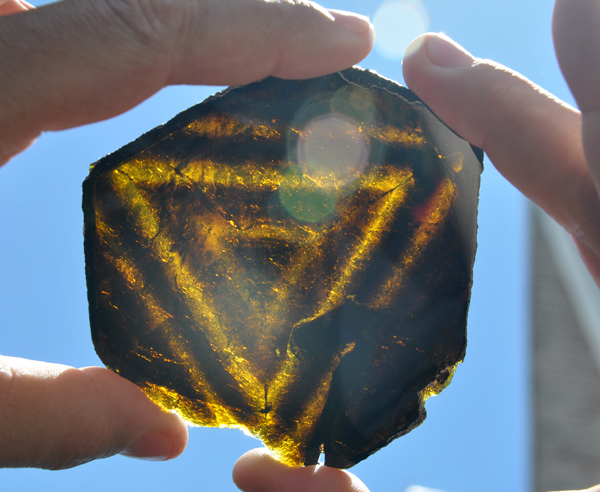 A new acquisition of the Spirifer Collection - sliced tourmaline from Alakamisy-Itenina bought in Antsirabe. Fot. J. Gajowniczek. After a few days we returned to the Sahatany Valey from the other side to visit an interesting Ampatsikahitra pegmatite. View of the Ibity Mountain. Fot. G. Sobieszek. 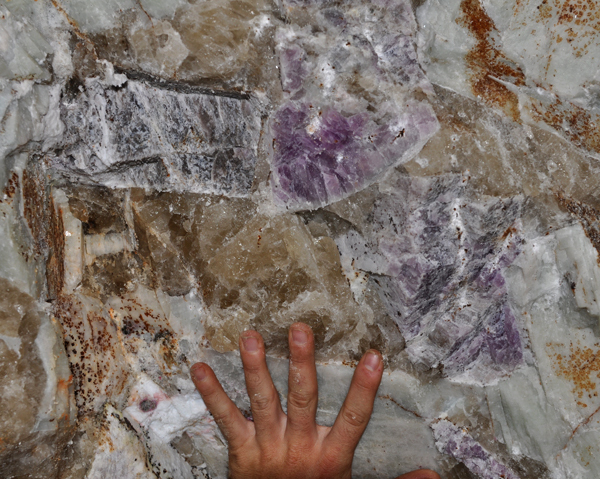 Inside the Ampatsikahitra pegmatite – big, frozen in feldspar and quartz, crystals of kunzite. Fot. T. Praszkier. 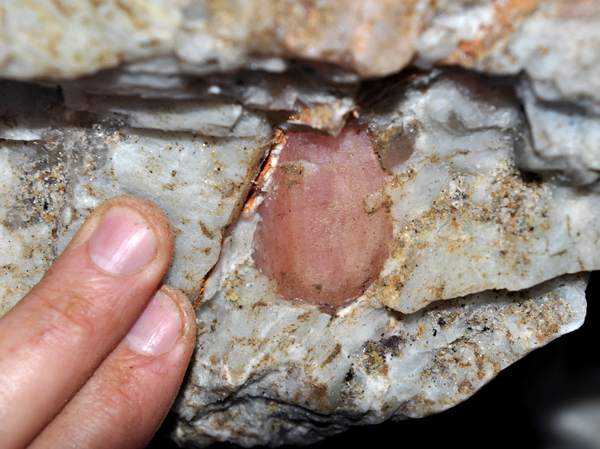 Well formed morganite inside the Ampatsikahitra pegmatite. Fot. T. Praszkier. 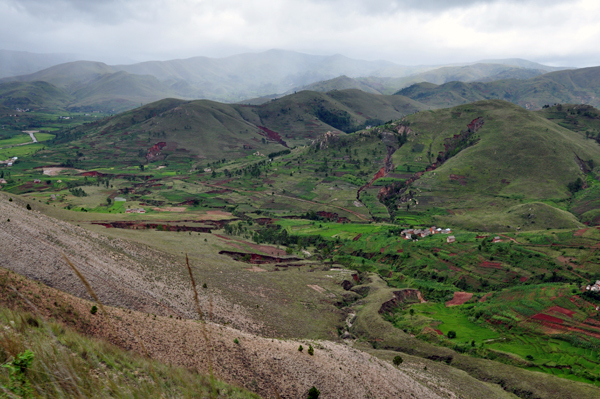 Little village near Betafo, beautiful landscape with number of volcanic cones in the backgrund. Fot. G. Sobieszek. 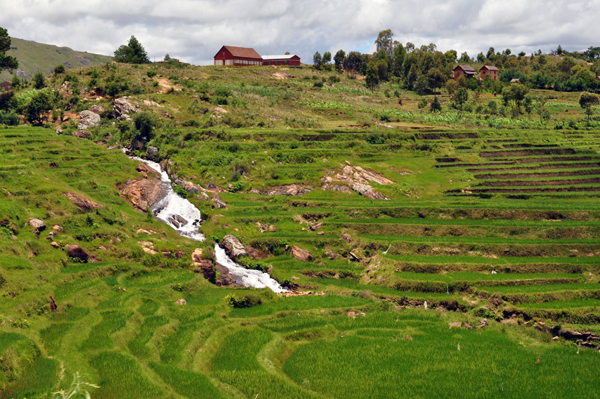 Rice fields near the road to Mahaiza. Fot. G. Sobieszek. 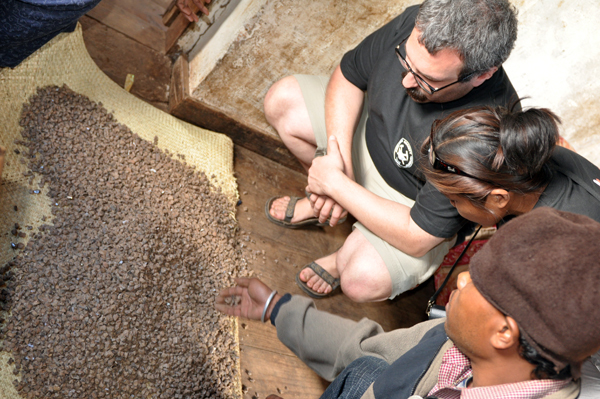 Examining the mound of staurolite at the Mahaiza market. Fot. G. Sobieszek. 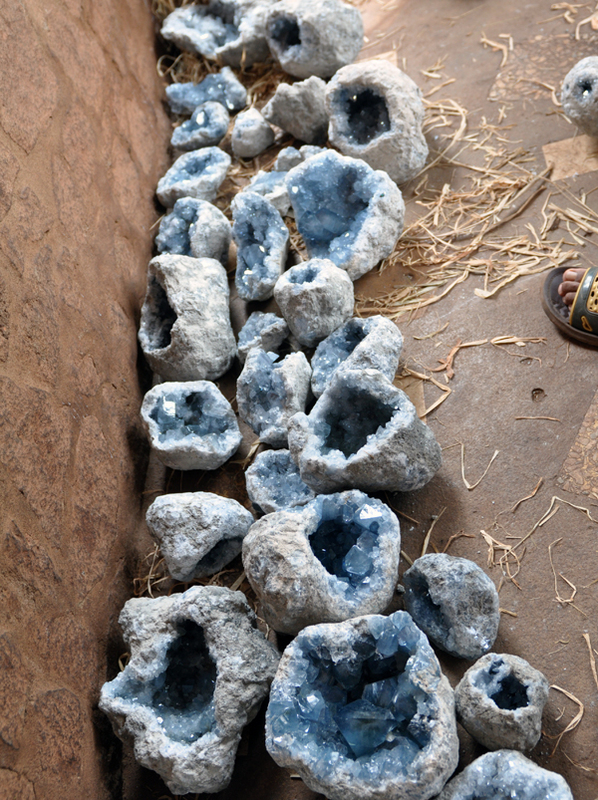 Some brookites specimens from Fitampito at Mahaiza market. Fot. G. Sobieszek. 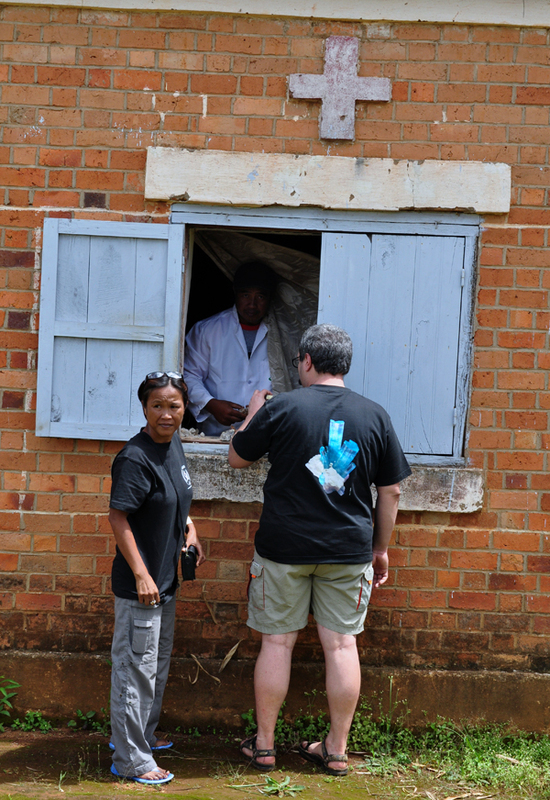 In Mahaiza even the doctor seels mineral from the hospilat`s window, Noro - our Malagasy friend and co-worker, and I . Fot. G. Sobieszek. 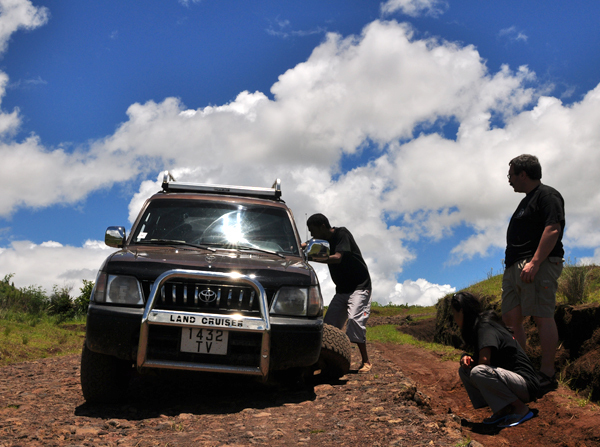 Our car broke down - we lost the wheel, on the way fom Mahaiza, which forced us to stay longer in Antsirabe and wait for the reparation. Fot. G. Sobieszek. 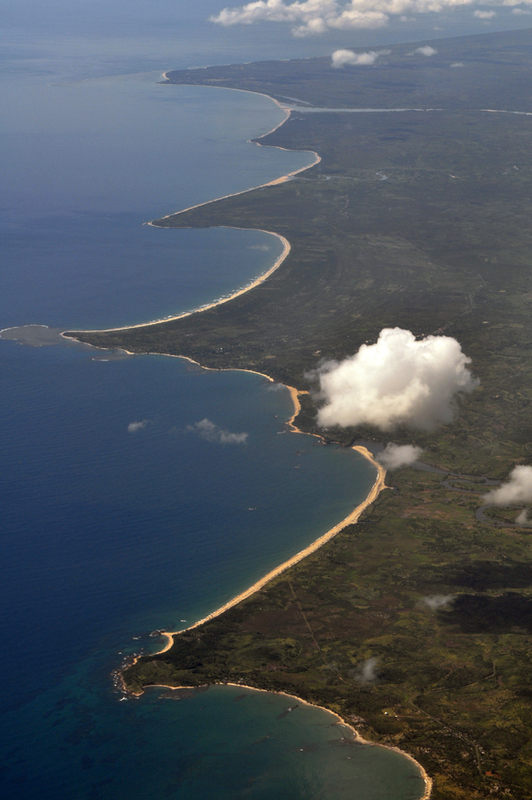 View of the eastern cost of Madagascar from the plain to St. Marie Island. Fot. J. Gajowniczek. 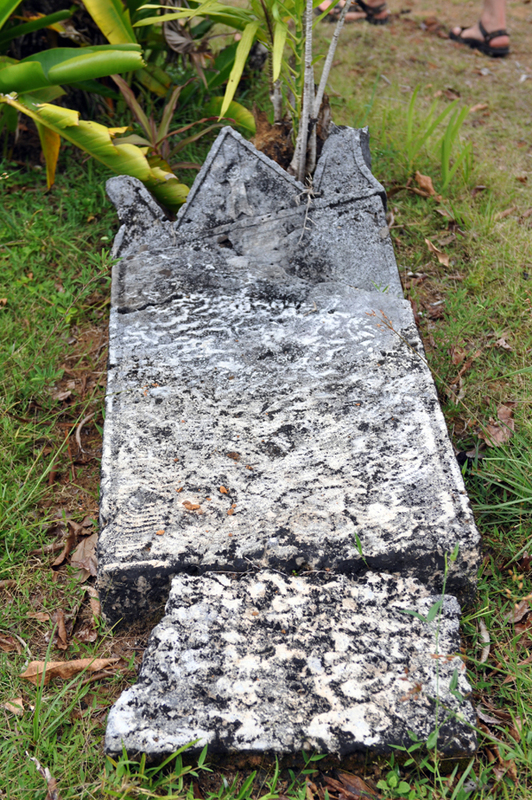 A cemetary of the pirates on St. Marie island, that used to be the main base for pirates of the Indian Ocean throughout the 17th and 18th centuries. Fot. T. Praszkier. 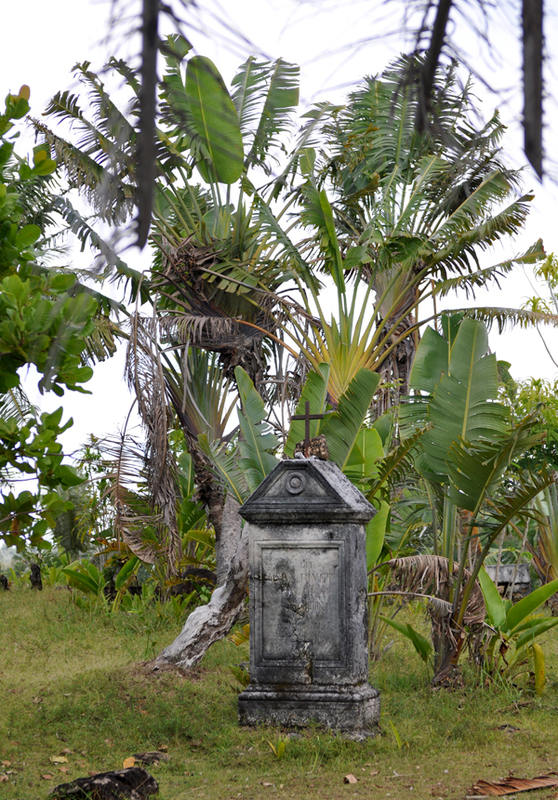 A cemetary of the pirates on St. Marie island, that used to be the main base for pirates of the Indian Ocean throughout the 17th and 18th centuries. Fot. J. Gajowniczek. 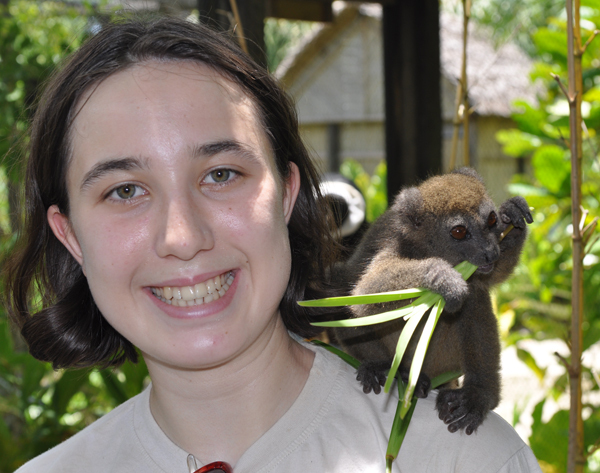 Asia with a Bamboo Lemur, St. Marie. Fot. T. Praszkier. 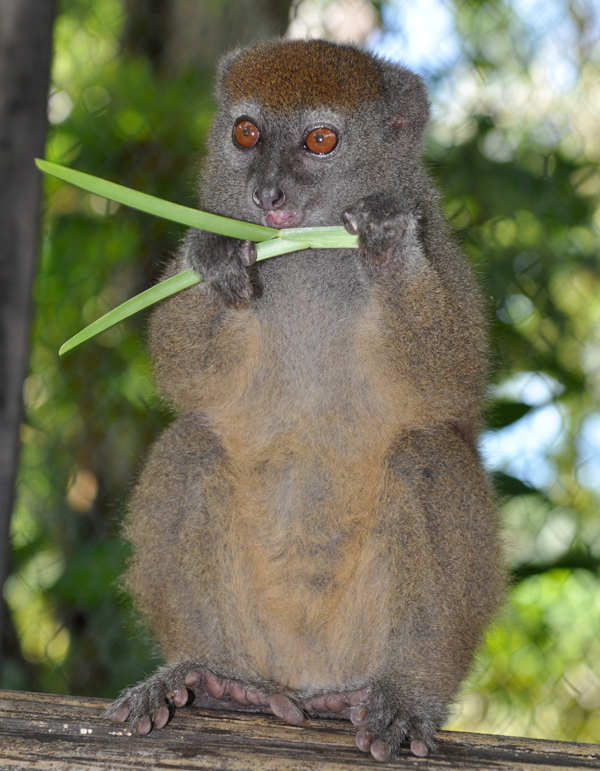 A hungry Bamboo Lemur, St. Marie. Fot. T. Praszkier. 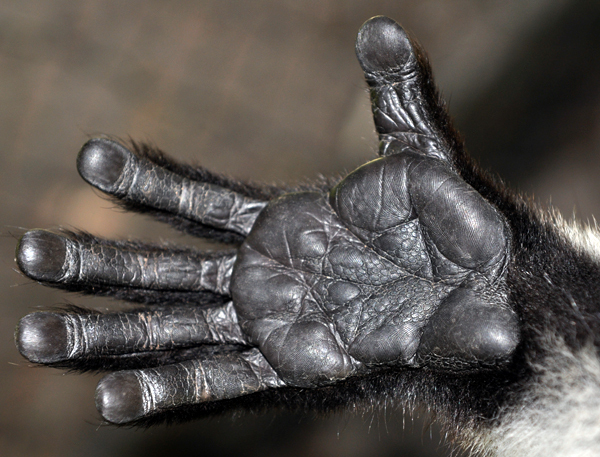 Palm of the Vari (Rice) Lemur, St. Marie. Fot. T. Praszkier. 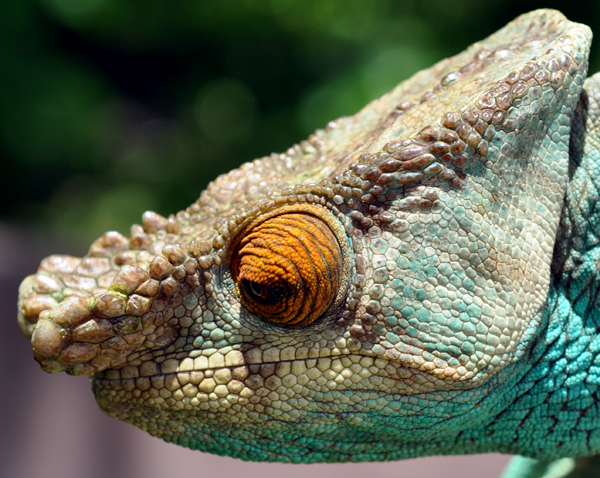 The Parson`s chameleon - the biggest one to be found on Madagascar, endemic (as the 80% of Madagascar`s plants and animals ). Fot. J. Gajowniczek. An interesting snake. Fot. J. Gajowniczek. 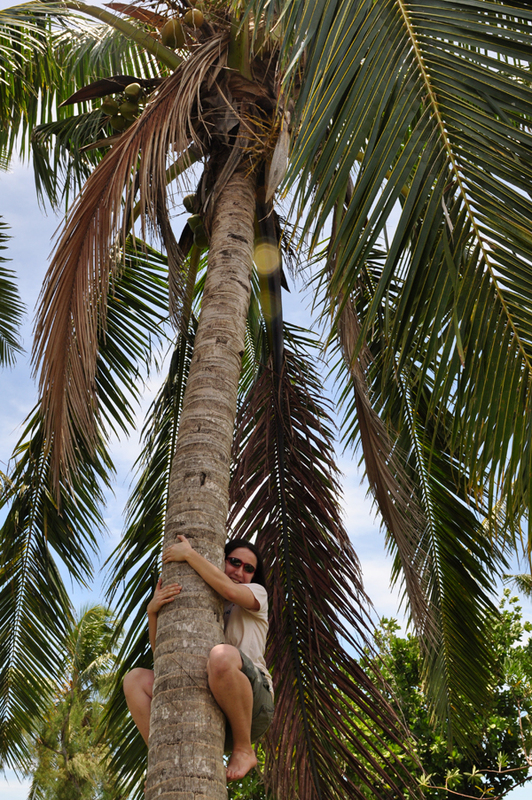 Asia doesn`t know how to go down from the coco palm ... St. Marie. Fot. T. Praszkier. Asia and the beautiful sunset on St. Marie island. Fot. T. Praszkier. 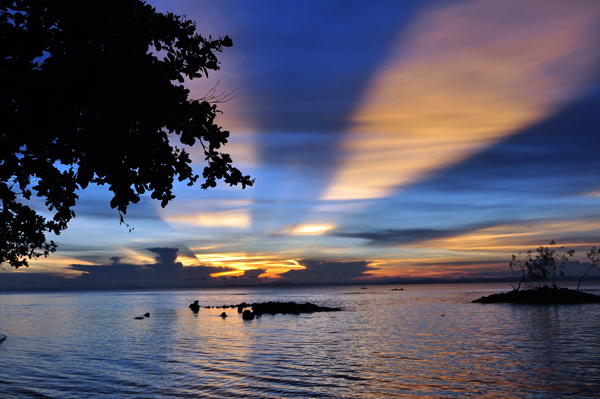 An incredible sunset on St. Marie island. Fot. J. Gajowniczek. 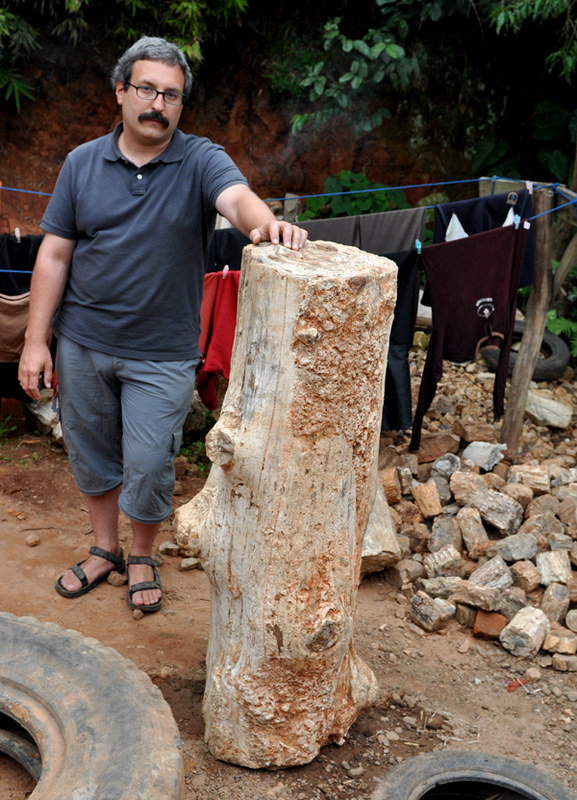 A gigant petrified trunk and I in Antananarivo. Fot. J. Gajowniczek. 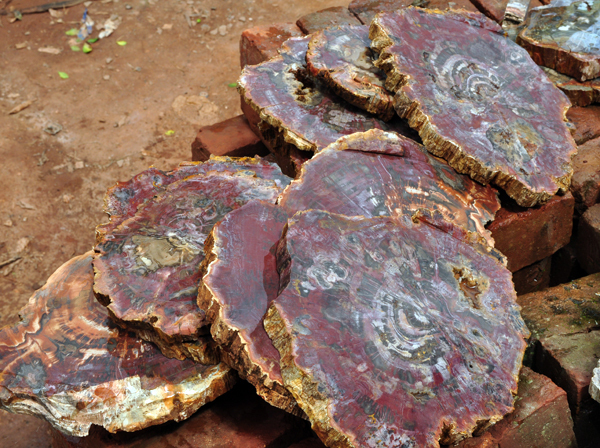 Slices of polished petrified wood, Antananarivo. Fot. J. Gajowniczek. 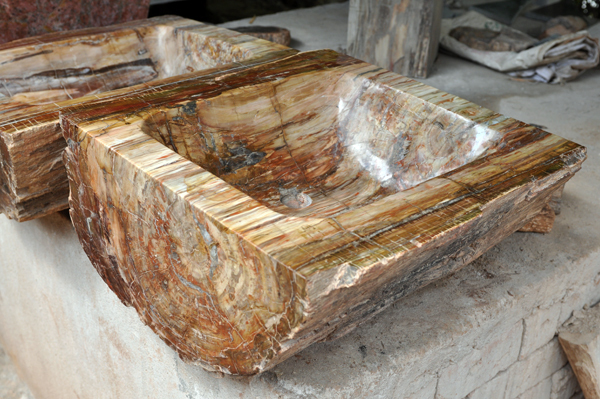 An incredible sink made of polished petrified wood, Antananarivo. Fot. J. Gajowniczek. 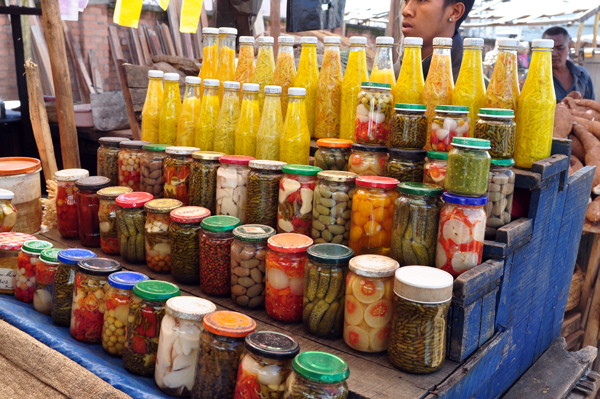 Very colorful Andravoanghy Market in Antananarivo. Fot. J. Gajowniczek. 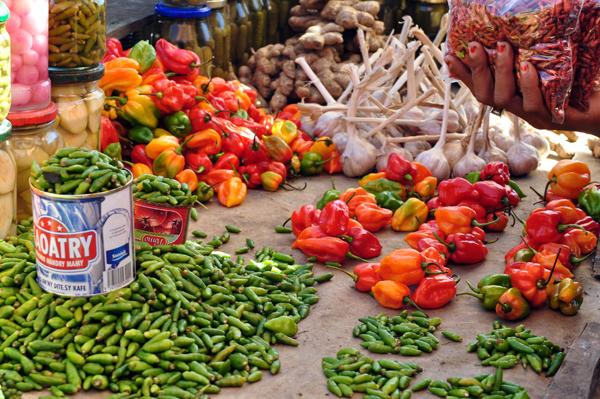 Unbeliveably hot pepper - the one and only spice that Malagasy people use. 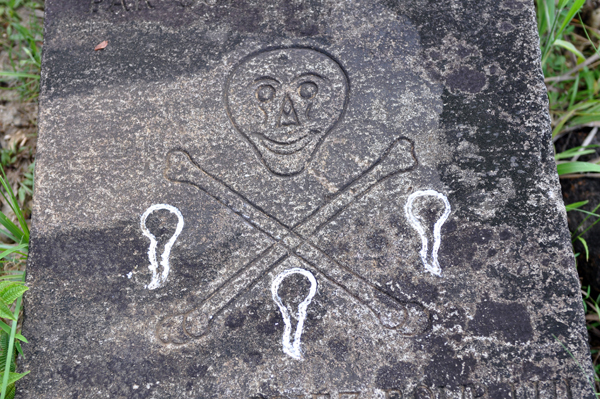 Translating from malagasy langiage it is called `five men cannot eat it`. Market in Antananarivo Fot. J. Gajowniczek. 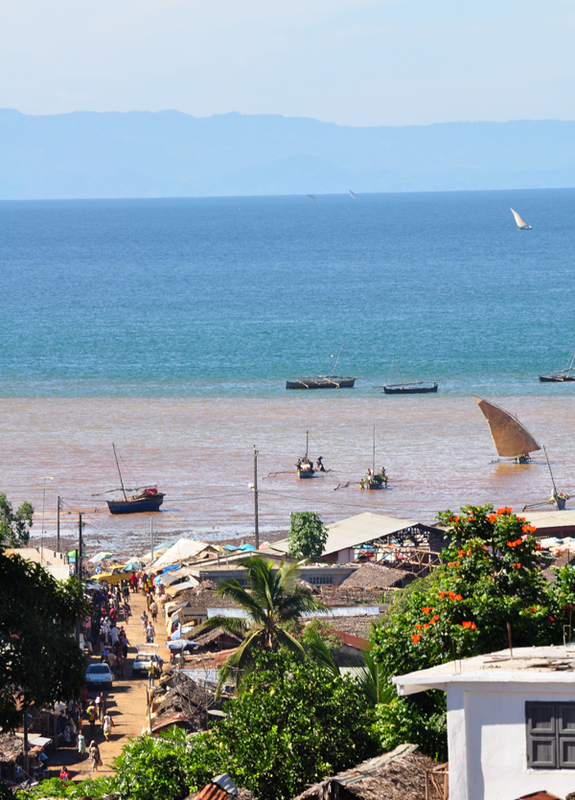 View of the port in Hellville - the biggest city of Nosy Be island, the most popular tourist localization of Madagascar . Fot. J. Gajowniczek. 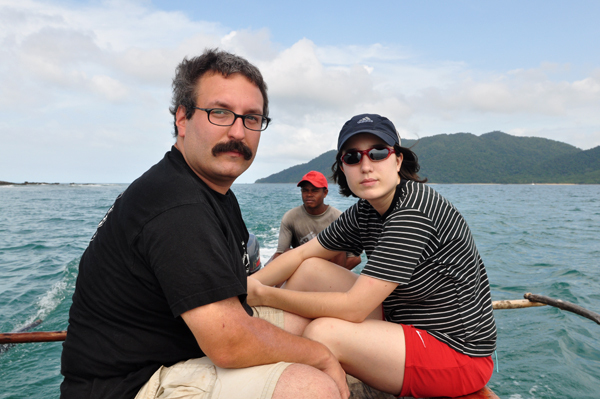 Asia and I on the way from Nosy Be to a little Nosy Komba island. Fot. G. Sobieszek. 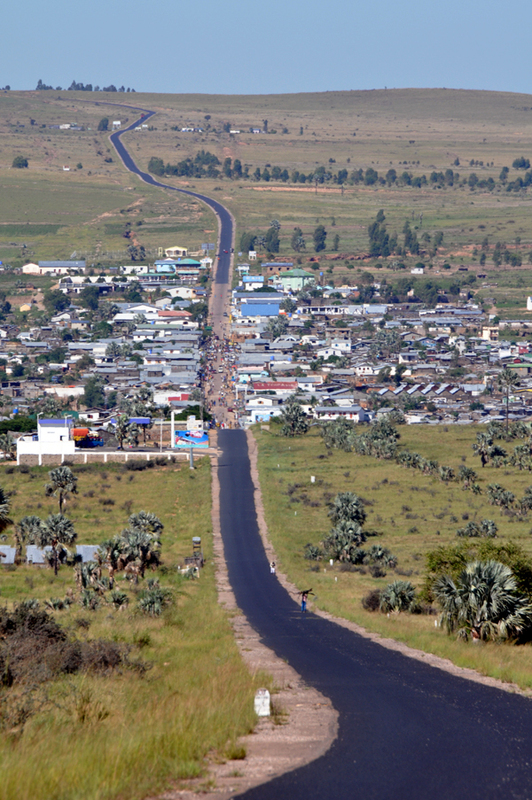 View of the Nosy Komba cost. Fot. J. Gajowniczek. 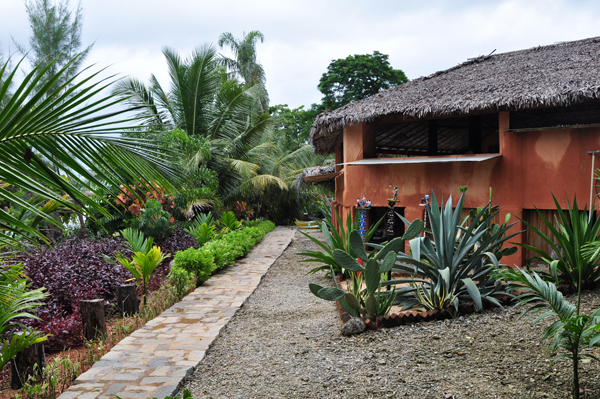 On Nosy Komba we lived in very nice villa constructed by our friend for tourists. Fot. J. Gajowniczek. 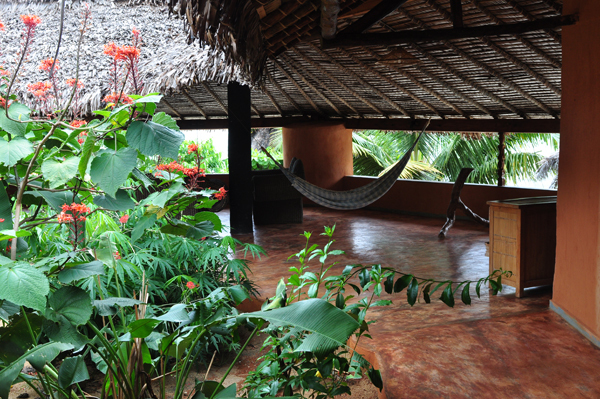 On Nosy Komba we lived in very nice villa by our friend for tourists. Fot. J. Gajowniczek. 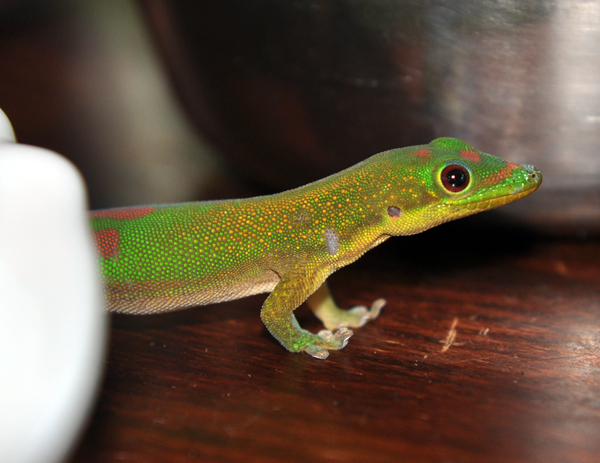 Colorful gecko that is waiting to eat the rests from our breakfast. Fot. J. Gajowniczek. 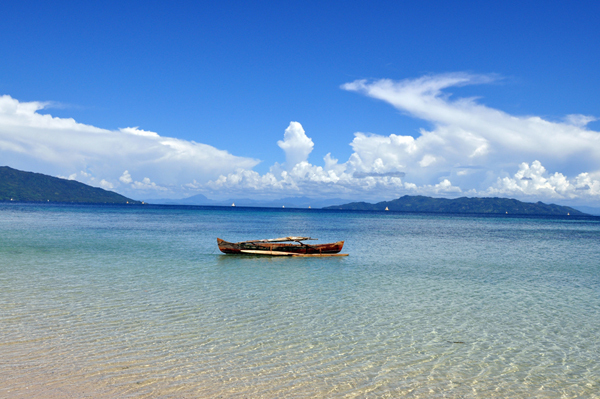 The beach on Nosy Komba. Fot. J. Gajowniczek. 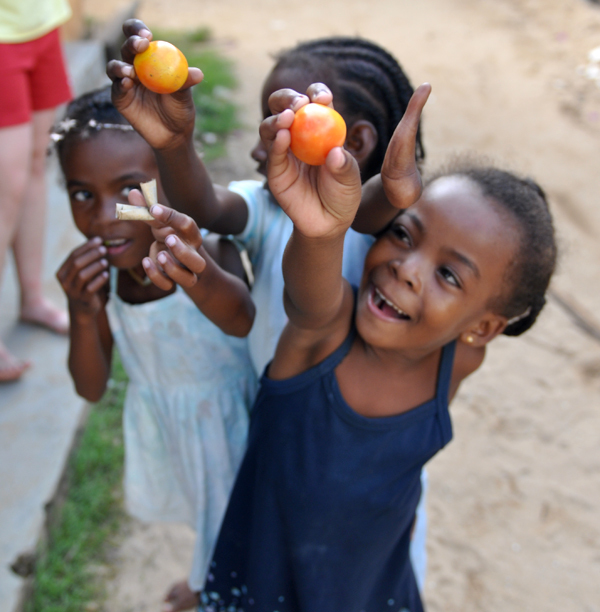 Girls from the village on Nosy Komba. Fot. G. Sobieszek. 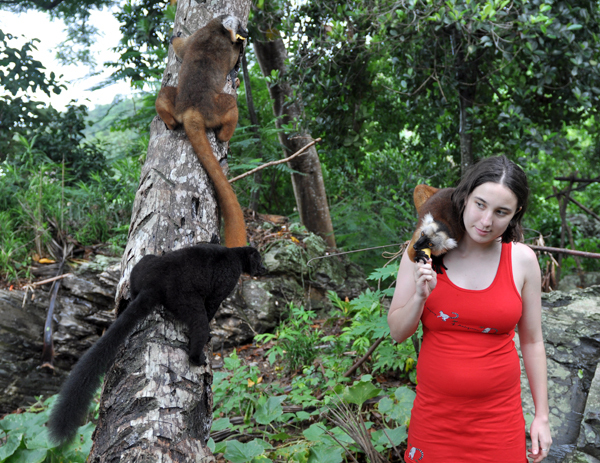 There are a lot of lemurs on Nosy Komba. 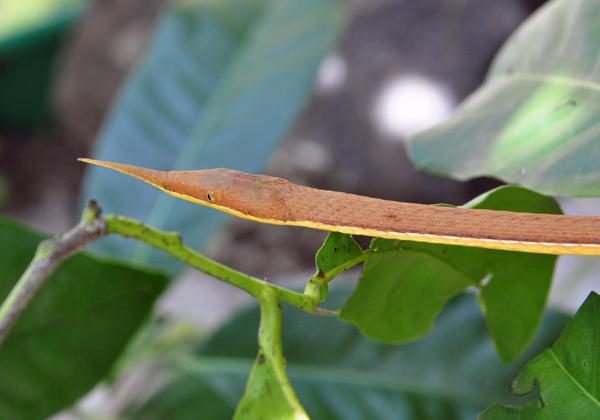 This species is typical for the island and as you see it is not afraid of people . Fot. T. Praszkier. Asia and the lemur. Fot. T. Praszkier. 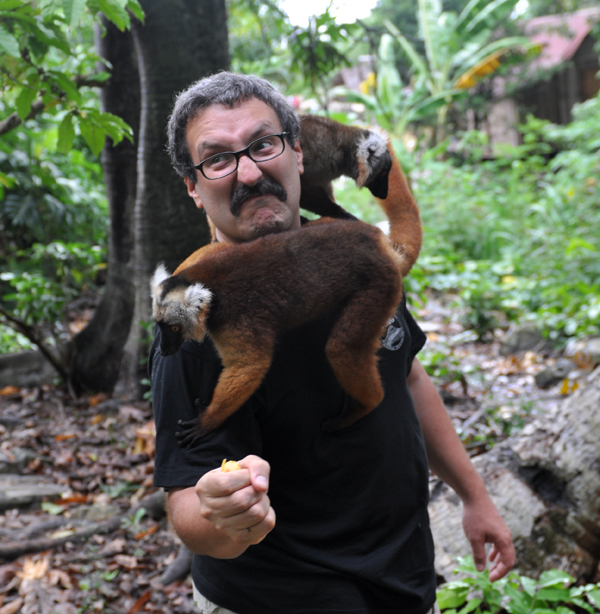 I am fighting with the hungry lemurs to keep my banana. Fot. J. Gajowniczek. 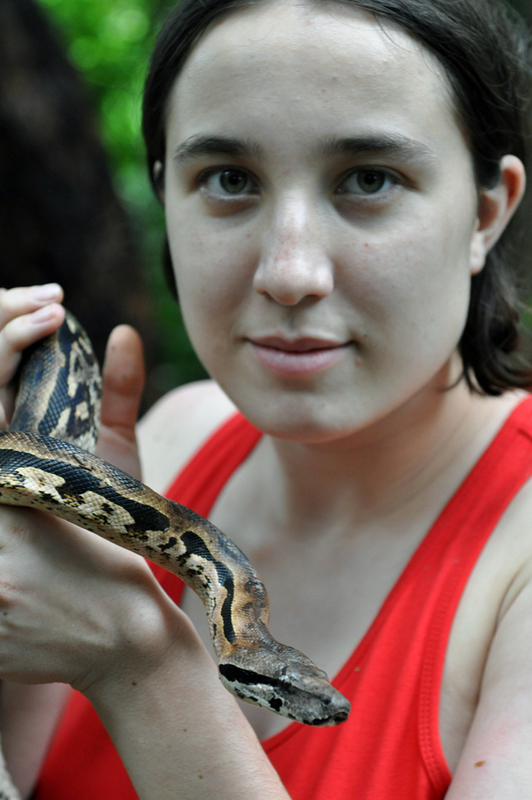 Endemic Boa madgascariensis in Asia`s hands. There are oundreds of snakes on Madgascar but none of them is poisonous. Fot. T. Praszkier. 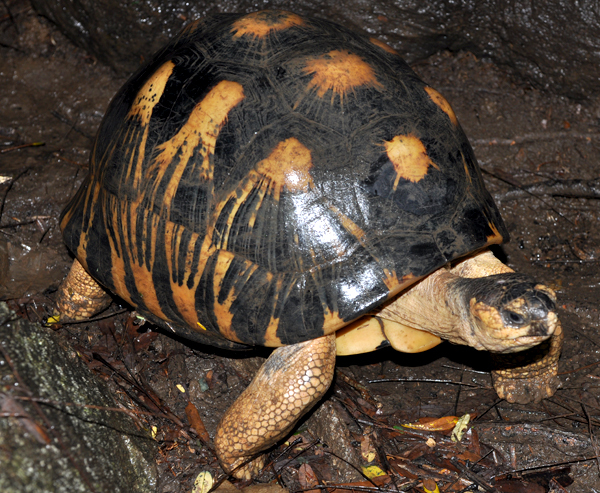 Endemic Radiata tortoise from the southern Madagascar. Fot. T. Praszkier. 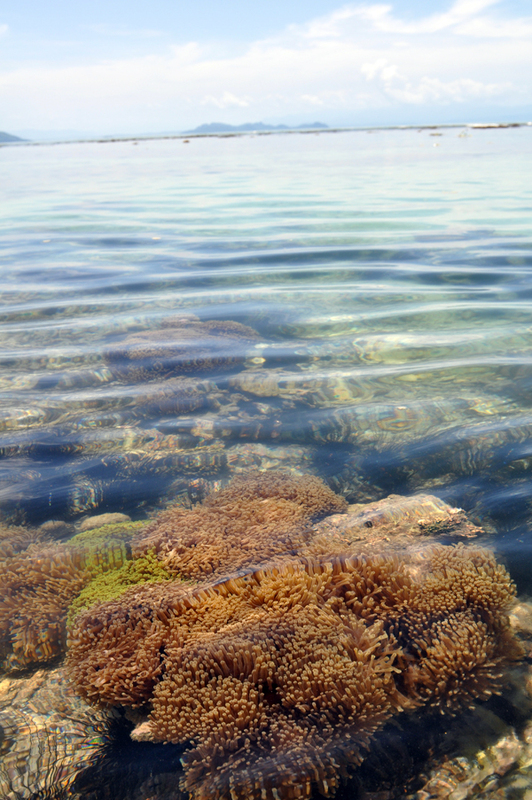 One of the atolls that we were swimming at a few days befoer. The view from the plain. Fot. J. Gajowniczek. 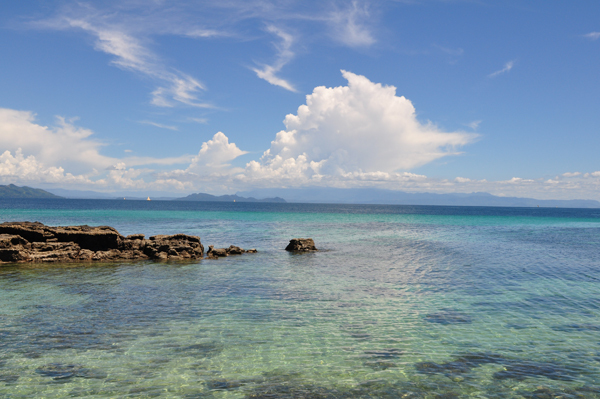 View of the see from the the beach on the Nosy Tanikely island. Fot. J. Gajowniczek. Incredible landcape of emerald blue see, Nosy Tanikely. Fot. J. Gajowniczek. 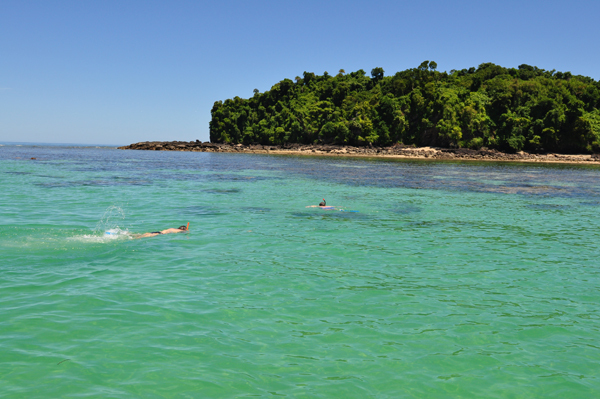 We are swimming on the reef of Tanikely island. 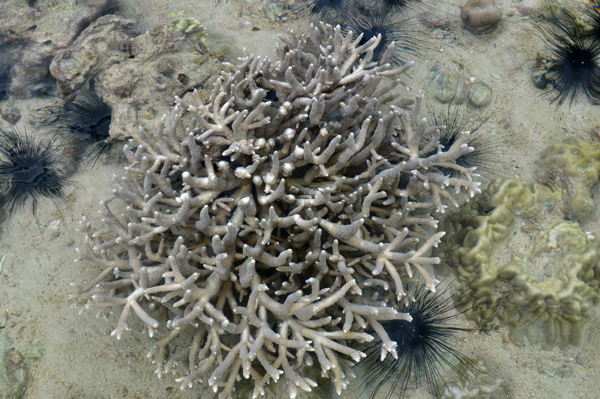 there is a submarine national reserve that contains one of the most beautiful malagasy reefs T. Fot. J. Gajowniczek. Corrals during the low tide. Fot. J. Gajowniczek. Corrals and see oursin. Fot. J. Gajowniczek. 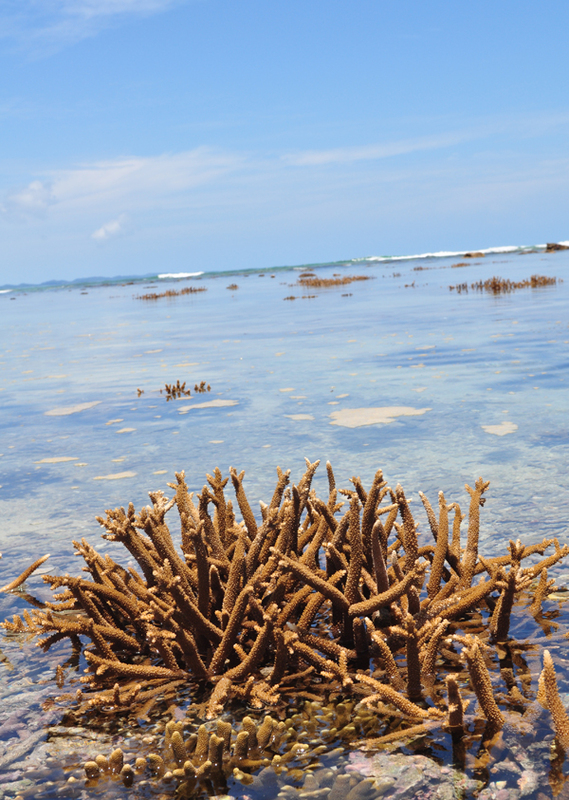 Coral reef and noumber of oursins in cristalic clean wate. Fot. J. Gajowniczek. 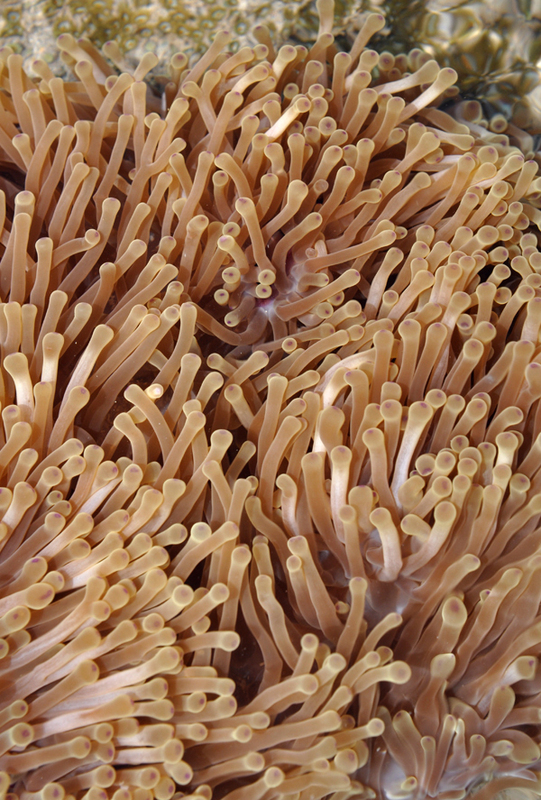 Sea anemone. Fot. J. Gajowniczek. 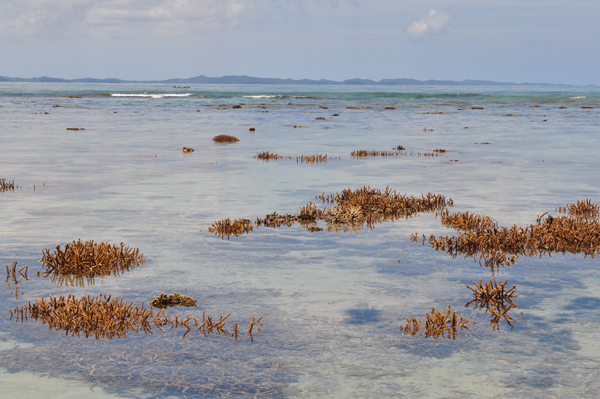 Coral reef and oursins. Fot. J. Gajowniczek. 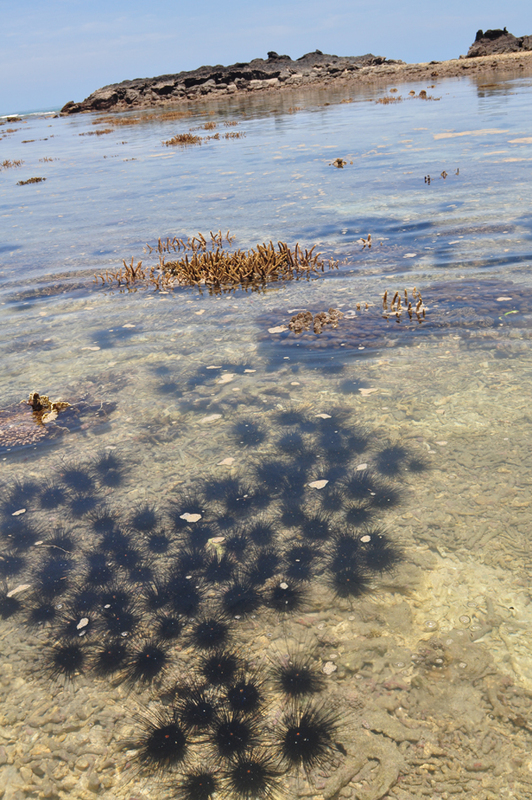 The corals stick out from the water surface during the low tide T. Fot. J. Gajowniczek. 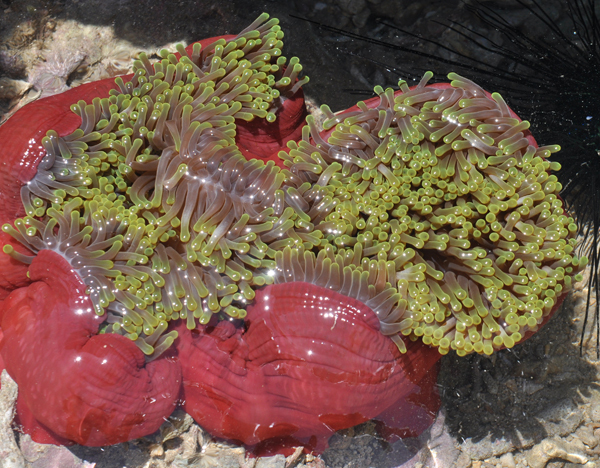 Sea anemones, Nosy Tanikely. Fot. J. Gajowniczek. 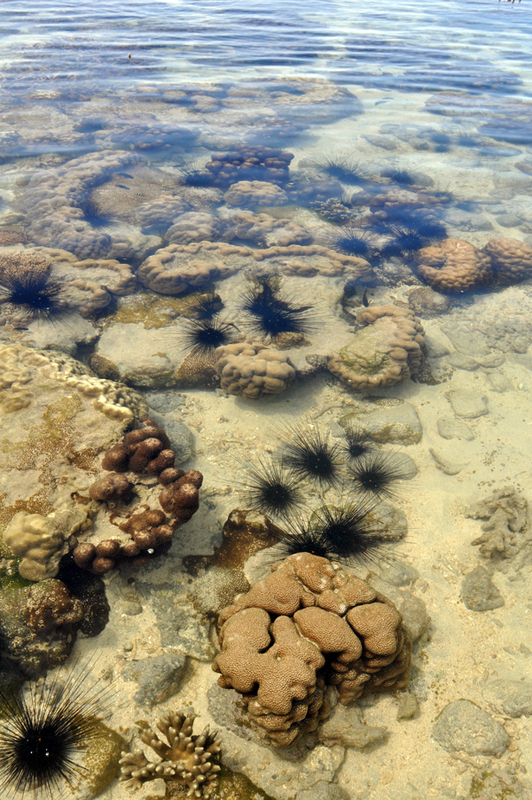 Sea anemone, it is not a nice feeling when you run into it while swimming... Fot. J. Gajowniczek. 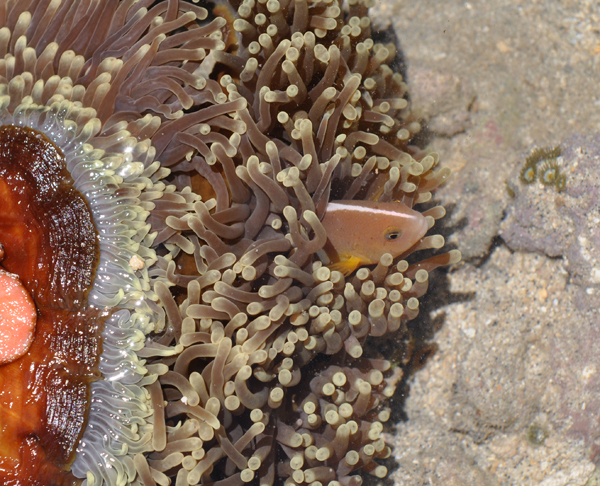 Sea anemone and and the fish trying to hide inside it. Fot. J. Gajowniczek. 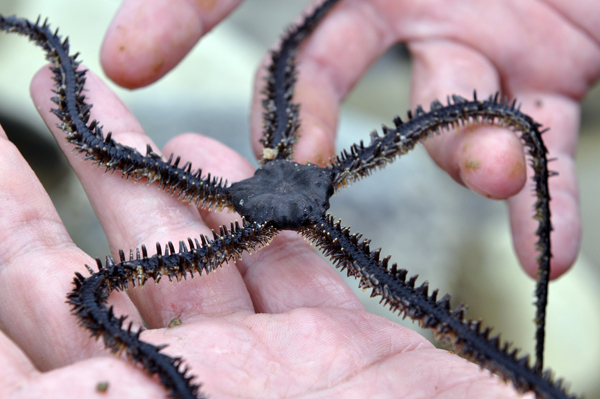 Ophiuroid in my hends. Fot. J. Gajowniczek. Women fishing. 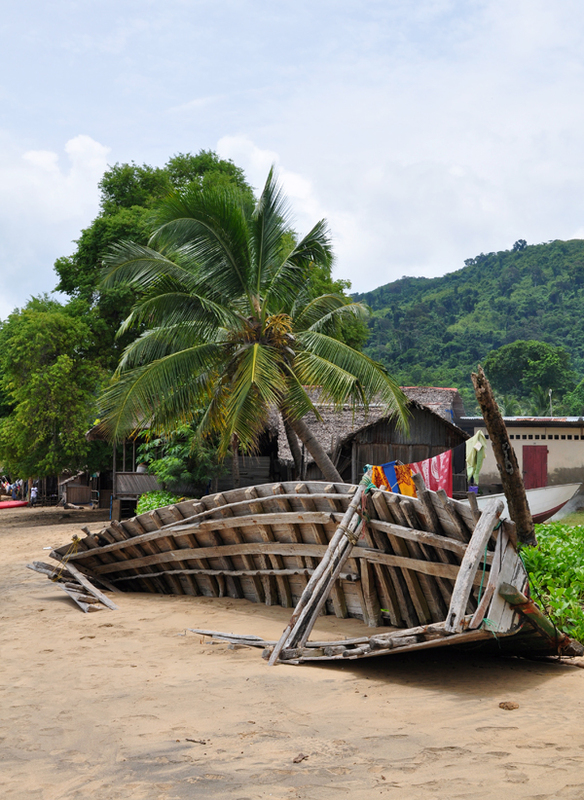 Andilana Beach, Nosy Be. Fot. J. Gajowniczek. 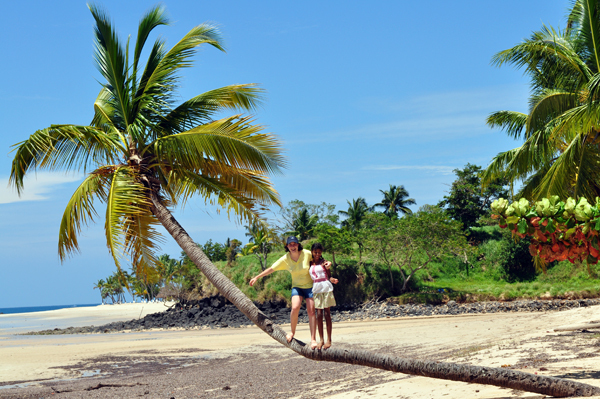 Asia and Laurent`s daughter on the palm on Andilana - the most beautiful beach on Nosy Be. Fot. T. Praszkier. 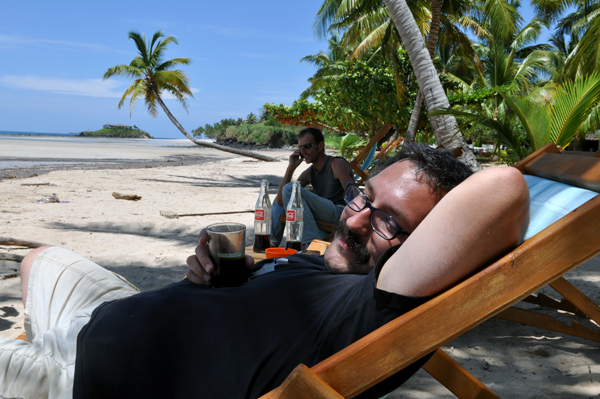 Last chillout with our friend Laurent, on Andilana beach at Nosy Be, before coming back to cold and snowy Poland... Fot. J. Gajowniczek.